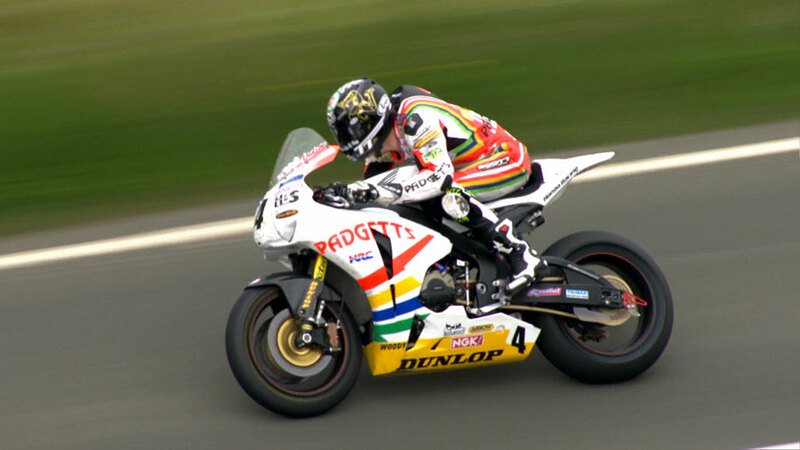 The record books show that the 2010 Isle of Man TT fuelled by Monster Energy was dominated by one person – history man Ian Hutchinson, whose place in the TT legend was secured when he took victory in all five solo races, a feat never before achieved. However, they also show the 2010 TT was one of the closest, fastest and most thrilling feasts of real road racing ever seen. Lap records were smashed in almost every race, with victory decided by as little as 1.32 seconds - after more than 150 miles of racing on the challenging roads of the iconic Mountain course. The Official Review brings you the most important action from every race and throughout the record-breaking practice week, plus interviews, behind-the-scenes access and informed commentary from James Whitham and Steve Parrish. There’s some spectacular new camera angles and more on-bike footage than ever before – the extraordinary quality of the footage, all shot in high definition for the first time, really lets you share the experience of reaching more than 190mph just inches from houses, walls and hedges. The 2010 TT took us to the extremes of emotion, from Hutchy’s delight as he achieved the unbelievable and took victory in every race to the tear-filled heartbreak of Michael Dunlop and Ryan Farquhar as they were denied wins by the narrowest margins after some of the most determined riding the TT has ever seen. From Guy Martin’s fury after a controversial time penalty denied him a podium finish to flying Manxman Conor Cummins’ stunning 131.511mph record-breaking lap in the opening race, from James McBride’s pride at claiming the first TT Privateers Championship to the distress of TT legend John McGuinness as failed to step on the podium for the first time in more than a decade. The first sidecar race saw former World Champion Klaus Klaffenbock, partnered by Dan Sayle, finally claim his first TT win, after a spectacular battle with 14-times TT winner Dave Molyneux, with Patrick Farrance as passenger. After more than 110 miles of racing, the outfits were split by less than 3 seconds! We thought we had seen the most thrilling race possible, but just days later Klaffi did it again, snatching his second TT win by just 1.12 seconds from John Holden and Andy Winkle – the closest finish of the festival. Plus, the new generation of electric-power bikes returned for the one-lap TT Zero race – with Mark Miller and the MotoCzysz team determined to put the USA on the top step of the TT podium, and achieve the first-ever 100mph lap by a battery-powered bike. The Official Review is also packed with fascinating bonus features, including the laps by MotoGP stars Jorge Lorenzo and Loris Capirossi, Donald’s riding the 2010 Rizla Suzuki MotoGP machine, a look at Suzuki’s anniversary celebrations, a montage of breathtaking, ultra slow-motion footage, a guide to the Mountain course, a chance to join Ian Hutchinson as he rides into history and much more.